Are Thighs Supposed to Touch? Confession . . . my thighs touch. At the height of my professional dance career in my 20’s, my thighs touched. Perhaps the idea that thighs are not supposed to touch came from people suffering with eating disorders or from our pop culture? Photo editing and Duck tape techniques for magazine covers can do wonders for making thighs look smaller than they actually are. Anatomically speaking however, femurs should hang fairly vertical from the pelvis in standing posture. Unless you are underweight or have femurs that are extremely bowed or your hip joints live unusually far apart inside the pelvis, your thighs will touch. 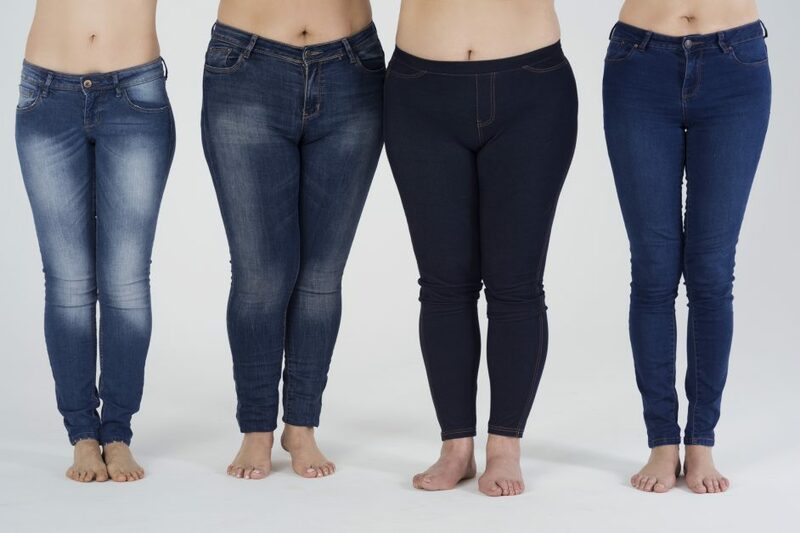 When people carry more weight than needed, they often become hyper aware of their touching thighs and feel more surface area touching even further down the thighs toward the knees. The body responds to the mind by moving the feet further apart to avoid that unpleasant feeling and possible skin chaffing. With the feet straying wider than the hips, the knees will begin to fall in toward the center in an attempt to support the weight of the torso. Unfortunately, knees are not really designed for the task of supporting weight the way feet are. Long term standing in this way often leads to dysfunctional hip and lower back conditions. Our bodies follow the laws of physics. Your house will collapse in the center if the foundation is only on the outsides due to no support under the bulk of the weight. Our bodies were not made as an A-frame! It is imperative for people to work on narrowing their stance to get their feet back under their pelvis. By doing that, the thighs most likely will touch. For some people, this can lead to negative psychological input and serve as a reminder that the unwanted weight is there. The first step is to reeducate the mind and body to understand that touching thighs are a sign that you are in fact a human being with a normal structure, overweight or not. In good standing posture, the feet will be a bit narrower than the outside of the pelvis, under the hip joints. To further address a wide stance habit, one could pursue some connective tissue work by a certified Myofascial Release or Structural Integration Therapist to rebalance the tensions of the hips, legs and feet. Then follow up the manual work by building healthy muscle tone in those inner thigh muscles known as adductors. No fitness method I am aware of can beat the Pilates Method in nourishing functional relationships between the inner thigh muscles, pelvic floor muscles, lower abdominals, hamstrings and arches of the feet. These are vital relationships needed for cultivating and maintaining healthy standing posture. And to state the obvious, achieving and maintaining an appropriate weight through a healthy diet would help most everything.